The 2016 season may have just finished but at Oakleigh we are already looking to season 2017. 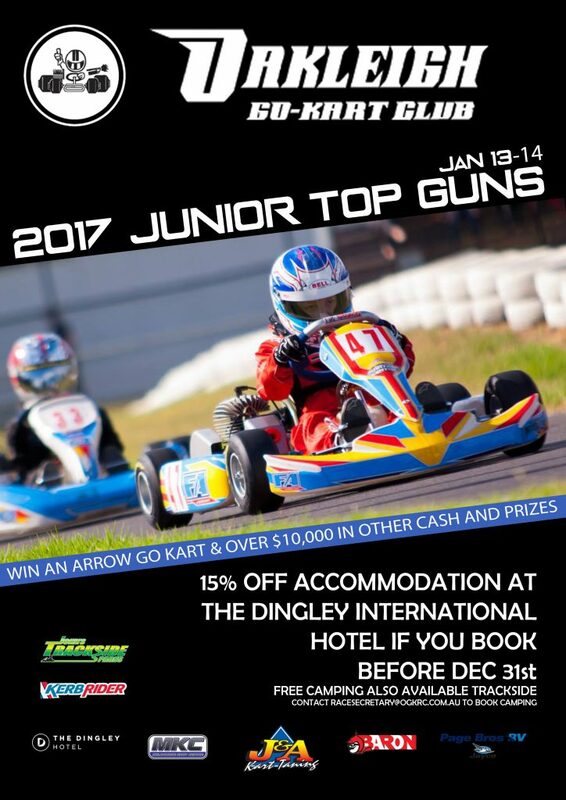 Once again kicking off the karting calendar, Junior Top Guns is only just over a month away. Bigger and better in 2017, Junior Top Guns will have more laps and a huge prize pool worth nearly $15,000. With a great discount offer on accommodation and free camping available there’s no excuse not to make your way to Oakleigh.